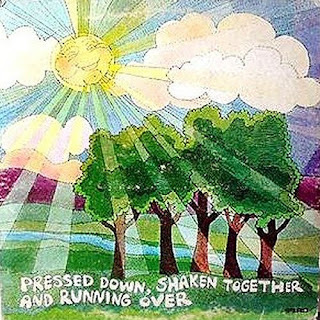 Pressed Down Shaken Together and Running Over (Almond Tree 20423) 1975? Love the guys and their music. Lost my copy of the Album and would love to get a CD if they are available. Thanks for the help !! Yes, love this album! Where can we get a copy now?!? You may have to cut and paste the above link into your browser address bar. They were also on MySpace. Great writing , personality and performance! Paul lives in CA and he and Paul Dionisio are still going out for lunch last I heard. These are the only two I still have contact with. Their heart for the Lord is strong and enduring and their love for people is a testimony of their faith. I will always enjoy the sound of Pressed Down …rich full harmonies, wonderful illuminating poetics , great personalities both individually and as a group. One of the most popular of all performers in The Way by far. The joy of their music endures as does the Word of GOD they endeavored to ‘sound’ out . Thank you for this tribute to some fine muscians and writers! Sorry, your link only 6 tracks from this album and five tracks from the album • Star Of The Show • 1979 WOW Record WPPD 116.. It has long been looking for this album, but … Whether you have the album with all the tracks? I found this album at a church rummage sale about 15 years ago for 10 cents and it’s in perfect condition. I bought it because of the cartoon cover and the 3 long haired dudes on the back. I am listening to it again now and it’s still amazing. I sold a different album on Almond Tree that I also got at the rummage sale that was kind of lame. This one is a definite keeper until the day I have no control over possessions.